Nothing speaks more highly for a commentary than how valuable it is to pastors and scholars, students, and interested readers. 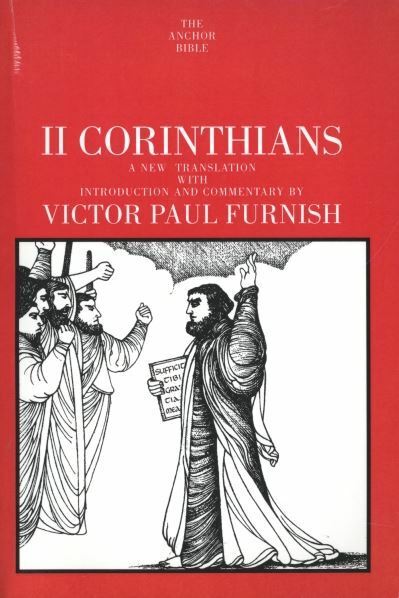 By all accounts, Victor Paul Furnish’s commentary on II Corinthians has become the standard by which others are judged. It is praised as “a quite superb commentary . . . everything that a good commentary should be” (Expository Times), “by any standard . . . an excellent volume” (Interpretation), and “perhaps the definitive commentary on the letter in English” (Journal of the Evangelical Theological Society). In addition, Furnish has “accomplished a difficult task with remarkable skill and apparent ease” (Biblical Theology Bulletin), and has given us “one of [the Anchor Bible’s] finest studies” (Catholic Biblical Quarterly). In the internationally renowned tradition of the Anchor Bible Series, this commentary is an excellent and indispensable tool for biblical study. Scholars rarely posses both the gift of academic excellence and the ability to communicate their expertise in an extremely readable fashion; but Furnish succeeds admirably with the right balance of scholarship and practical application, offered in the most accessible prose. With a mastery of primary languages and sources, and a lucid discussion of the first-century context of Paul’s second letter to the Corinthians, the reader enters the worldview of the original recipients of this hard-hitting letter. In the end, Furnish successfully navigates the maze of difficulties faced by the commentator and, thankfully, helps the general audience understand what II Corinthians says and means. Victor Paul Furnish is University Distinguished Professor of New Testament at the Perkins School of Theology, Southern Methodist University, in Dallas, Texas, where he lives. His numerous publications on and contributions to Pauline studies set him apart as one of the premier New Testament scholars of our generation.